We just advised an employee who was unhappy that his employer wanted to withdraw his entitlement to a company car, although he was entitled by his terms and conditions. We advised he could resign and put in an employment tribunal claim form for air dismissal – but only because his employer had made two technical HR mistakes. Could you learn from them? 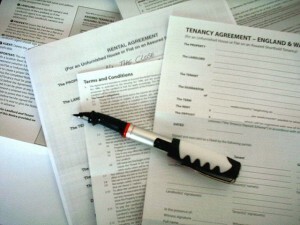 It is possible to change your employees’ terms and conditions, if you do it in the right way. You could have a provision in your contract that allows you to do so. If you don’t, you could do it anyway but avoid unfair dismissal claims by having a ‘sound business reason’ (eg need to reduce costs), by consulting with staff, seeking their agreement by offering something in return. If most employees say yes to the deal, that should show it’s fair and you should win a claim for unfair dismissal when you dismiss and offer the new terms to any refuseniks, whose only option is to lodge an employment tribunal claim form at their local tribunal. The employer in this case did have a contractual term letting it make the change but it forgot to follow the procedure in its own handbook when bringing in the change, so it couldn’t rely on that. The other mistake it made was not to say “we’d like to reduce your salary package and if you say no, we will dismiss you and offer the new terms and conditions” but instead “we’d like to reduce your salary package and if you say no, we’ll do it anyway”. The difference may surprise you. The first phrase is perfectly safe to say. The second one turns out to be threatening a breach of contract which allows an employee to resign and claim constructive dismissal.